The healthiest diet adheres to some sensible and straightforward guidelines: Eat more fruits, vegetables, and whole grains, and eat less meat. These recipes will help you happily comply through breakfast, lunch, and dinner. On any given day, choose any of these dishes, making sure to eat a variety of ingredients and strike a balance between heavier and lighter. For more healthy eating tips, see these guidelines for a balanced diet. Does it seem like the media is bombarding you every day about nutrition? Whether it is television, magazines or even social media, you get a plethora of conflicting information about what everyone should eat. 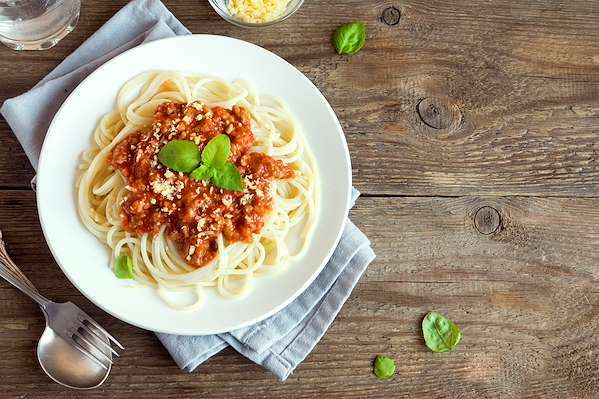 A 19th century French physician said that you “are what you eat.” With your hectic schedule, how can you provide nutritious meals for your family that are easy to prepare, and they will enjoy? Depending on the charts you read, most nutritional experts recommend that we get from 4-12 servings of fruit per day. If you have picky eaters around your table, that may seem like an impossible feat. Using smart recipes and cooking techniques help you easily do the job with delicious results! Consider recipes that feature seasonal fruits and vegetables, so you are sure to get the best quality for your money. Fruits and berries use their sweetness to easily entice the most finicky eaters. For a quick & healthy snack or dessert, keep a bowl of fresh fruit on the counter. You can also chop and arrange them attractively on a platter or use them to top cereal, yogurt, or oatmeal. Smoothies are another easy & tasty way for your family to enjoy fruit. Vegetables can be a bit more challenging—but being a creative cook can do the trick. While your children may despise spinach, they may chow down on a side salad with baby spinach, strawberries and a tangy fruit vinaigrette. Cut up veggies and let the kids dip them in ranch dressing, salsa or hummus. You can also add more veggies to their favorite dishes, like pizza or tacos. Sneak them into their regular fruit smoothies and they will never know! Most doctors and nutritionists will agree that a diet high in fat is not good for our bodies. However, we need “healthy” fats in moderation to maintain normal functions in our bodies. Mediterranean and Middle Eastern-inspired recipes have depended on heart-healthy olive oil for centuries. Use olive oil for sautéing, baking, or to make savory salad dressings. Try smart recipes that use other healthy oils, such as coconut, peanut, sunflower or grapeseed oils. Without a little salt, most of our food would be bland & boring. Our bodies require a certain amount of sodium to live. Unfortunately, the American diet is often heavy-laden with salt and it leads to a myriad of health problems. To prepare scrumptious meals with less salt, I depend on recipes that are generous with fresh herbs & spices. I also keep a bowl of fresh citrus fruit in the kitchen to enhance a recipe’s flavor with juice and zest. Nothing perks up your taste buds like savory blends of herbs and complementary spices. Keep your spice cabinet well-stocked with the best quality you can afford. Discard expired herbs & spices and replenish for optimal flavor. Save money and teach your children basic gardening skills by planting a few culinary herbs in pots on your kitchen window seal! Nutritional guidelines recommend that we include dairy into our diet to build strong teeth and bones. Instead of using the full-fat versions of milk, yogurt or sour cream, consider trying low-fat dairy products in your recipes. Your family will get the recommended daily allowance of calcium without the extra saturated fat. While I still prefer the whole-fat variety of butter and cheeses, I have learned to scale down the portions in my recipes without sacrificing taste. Protein is the basic building block of our cells and we cannot survive without it. Most of our meals contain some form of meat or plant protein. Experts suggest that at least 35% of our daily intake should be protein. Enhance your family’s protein intake by introducing easy & flavorful meat dishes from around the world. They will be amazed at how using exciting herbs, spices and cooking techniques can produce scrumptious meals that they have never considered. 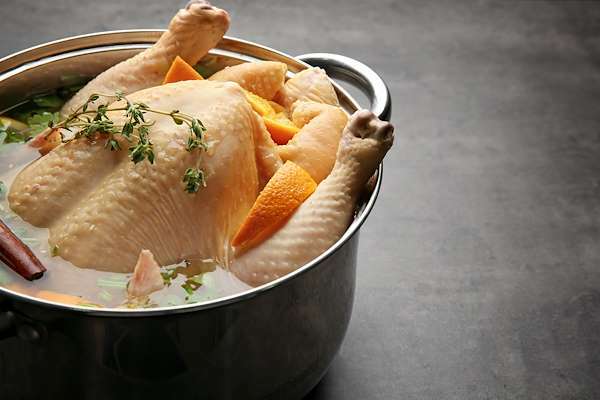 Use your grill and electric pressure cooker to prepare beef, pork, chicken or fish dishes that are high in exotic flavor and low in saturated fat. Some global protein dishes may become family favorites. Smart and nutritious menus always include whole grain or legumes. I like to shop in bulk to stock my pantry with these handy ingredients. 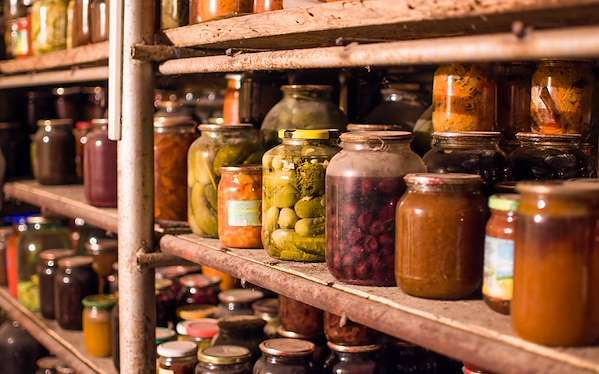 Keep staples like rice, oats, unrefined flour, whole-grain pasta and beans in sealed containers in your pantry. They are indispensable for quick side dish ideas or for other tasty recipes. 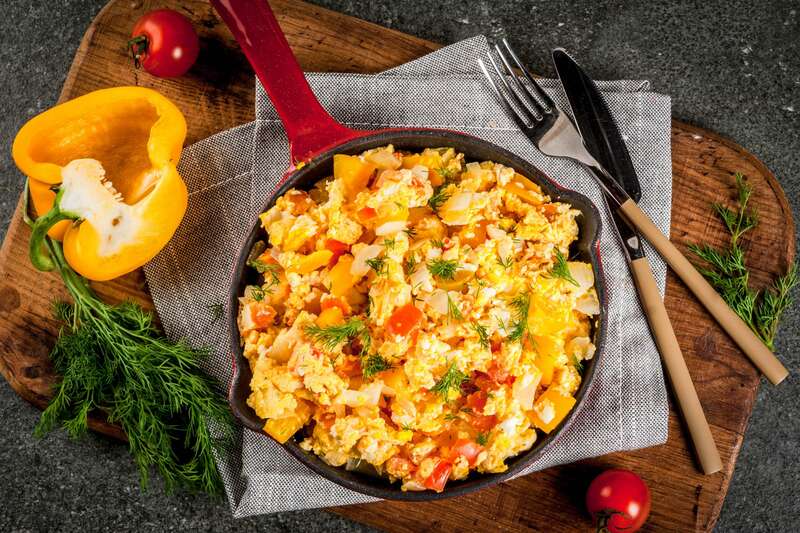 Egg & Veggie Scramble - Scrambled eggs are an essential dish for breakfast or brunch. Amp up your usual eggs with my easy loaded version. The tender-crisp onions & peppers and sweet tomatoes are a perfect pairing for the creamy eggs. Serve these as a main dish or use toast to make a savory breakfast sandwich. Bran Muffins - Give your family some loving from the oven with these delicious homemade muffins! They are full of healthy fiber and are tastier than the store-bought version. Plus, they freeze well and give you a quick and yummy breakfast or snack. Barley & Lentil Soup - Whether you need a quick meal or a comforting snack, this scrumptious soup fills the order. It features tender lentils, nutty barley and Southeast Asian spices in a creamy broth. Make a double batch and freeze half for a quick lunch. Spicy Shrimp & Noodle Bowls - Does your family enjoy the incredible flavors at your favorite Asian-style restaurant? Try my easy version of spicy shrimp noodles at home. 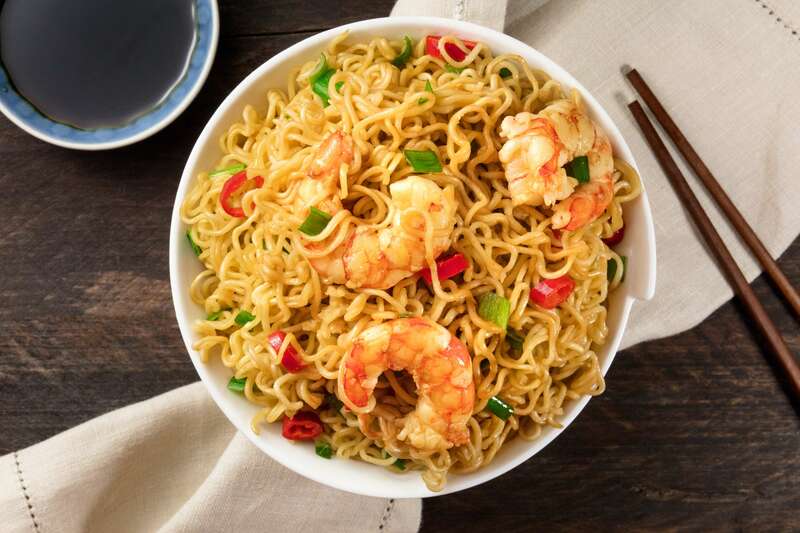 The plump shrimp, noodles and tender-crunchy veggies are seasoned with teriyaki and a zesty Szechuan sauce. It cooks in about 20 minutes! Seared Ahi Tuna Salad With Sischuan Pepper Vinaigrette - Consider this colorful Asian-inspired tuna salad as an appetizer or a light lunch. It features fresh lettuce, tender-crisp vegetables, flavorful herbs, and a zesty Sichuan pepper vinaigrette. The crowning ingredient is delicious Ahi tuna steaks, seared to perfection and arranged on the salad. 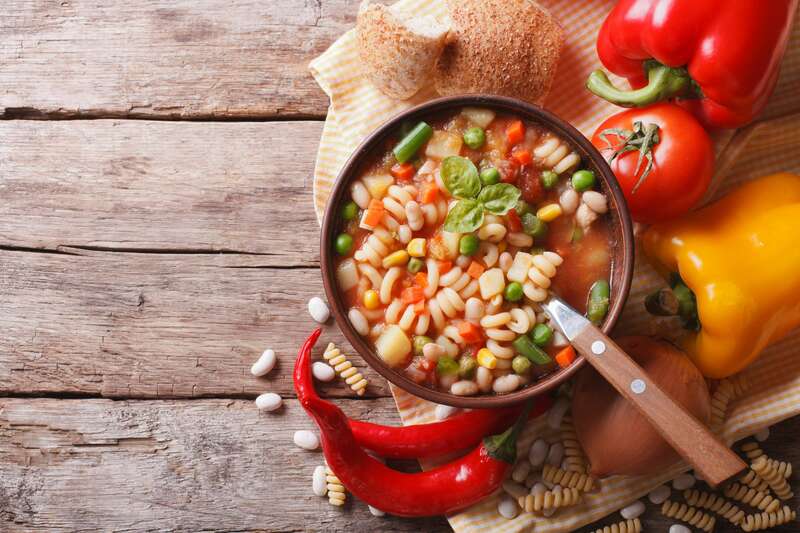 7 Vegetable Minestrone Soup - This rich and hearty minestrone soup is full of vegetables, macaroni, and Asiago cheese. It comes together in just under an hour, and is a perfect dish for a fast weeknight meal. My food philosophy is simple; food should be a feast of all five senses. Meals should be based on simple, tasty and smart recipes that are easy to follow. Instead of serving processed junk, I prefer to use fresh & seasonal ingredients. I gravitate towards all cuisines that are BIG on flavor. By cooking at home, we can all eat healthier and save money.